Today is my birthday. I am going to spend it at the Portland Art Museum, enjoying art. Then I’m going to the Downtown Library to finally get my Multnomah County Library card. I told a friend at work that I hadn’t yet been inside the downtown library and she was absolutely shocked and insisted I go. 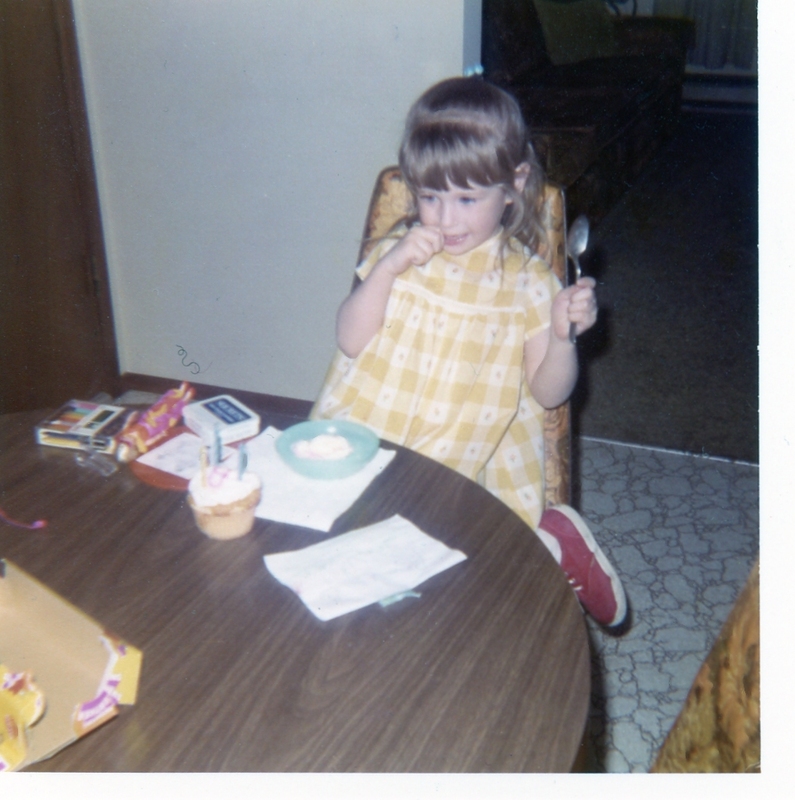 My mom found these old photos of me on my 2nd and 3rd birthdays. I thought they were kind of cute. I look at them and wonder who this little girl is. 2nd birthday, ripping open a present in typical toddler fashion. 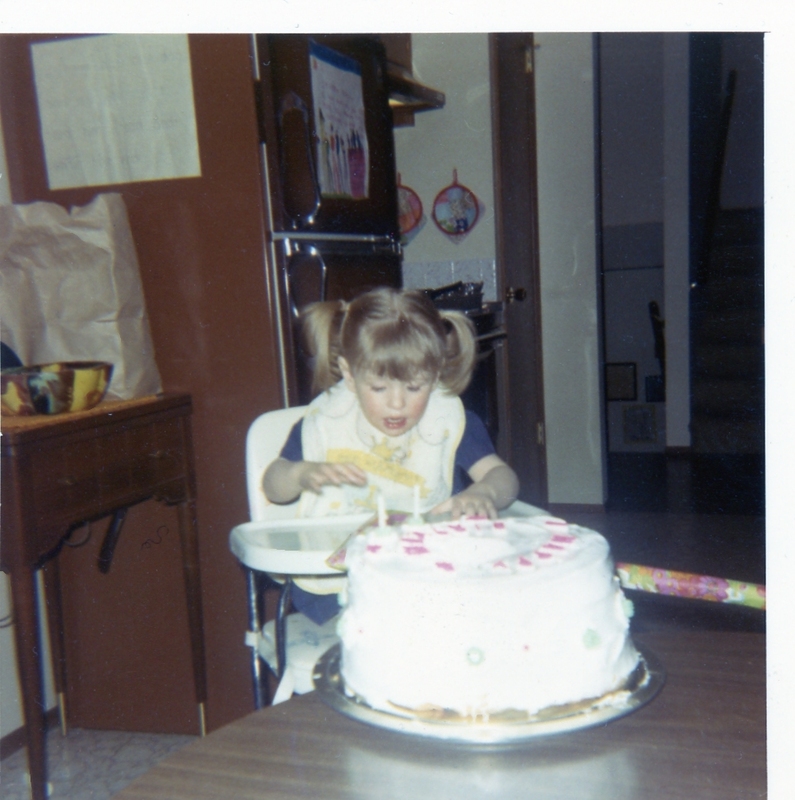 On my 3rd birthday, thinking about my wish. 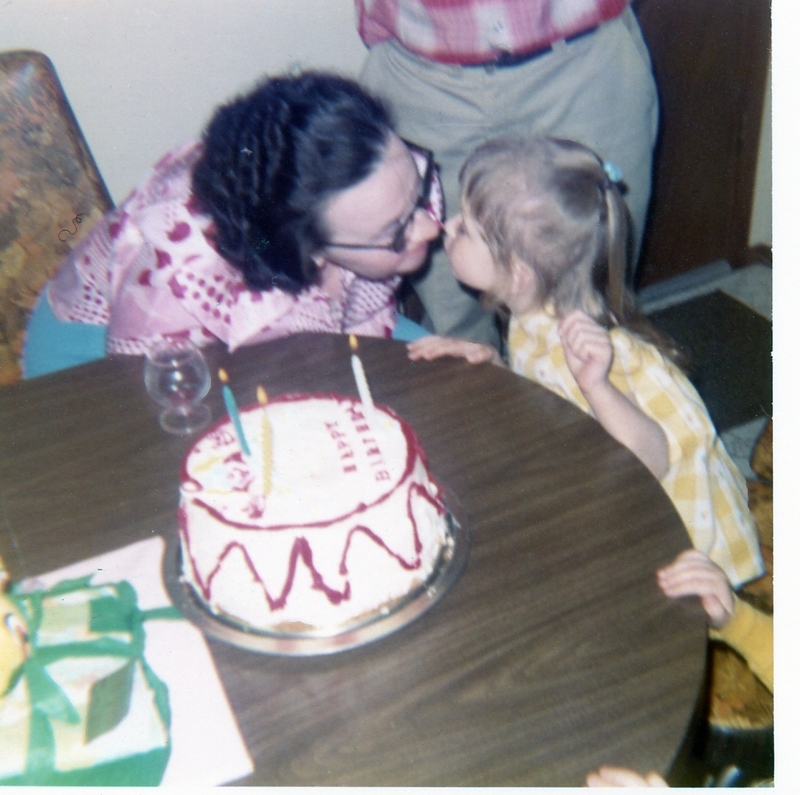 Me and my Granny Franny on my 3rd birthday.